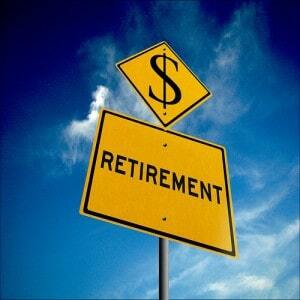 Home » Are You The Victim Of Huge Retirement Planning Fees? I was reading the other day and stumbled across an article that stopped me dead in my tracks. Even if you’re not a finance nut like me, you need to know what it said. Yahoo Finance reported recently that an estimated 8,000 Baby Boomers will leave the workforce each and every day for the next 16 years. The first thought that came to my mind was wondering how many of them have proper retirement planning in place for their new step in life. I know that you may question how this applies to you as you might be two, three or four decades away from retirement, and the thought of preparing for something so far off seems unnecessary. I can understand that thought as I was once there too, but as someone who has learned from the error of his ways, let me tell you that if you’re tempted to put off your retirement planning, then now is the very time you need to start. Even if you only have a small amount to start with, the point is to start as soon as you can as time is the magic elixir that makes a retirement portfolio grow. As much as time can be a benefit to your retirement investing, so too can fees be an equal detractor from that portfolio you’re working hard to establish and the thing that pains me is that very few consider fees when they’re working on their retirement planning. As someone who has worked in the online brokerage industry, I know better than most that when it comes to fees, brokerages seem to hit IRA accounts the worst. There are account maintenance fees, IRA termination fees, Roth conversion fees and IRA setup fees just to name a few. The sad thing is that many institutions will bury these fees and many clients do not recognize them until they’re too late. I try to avoid such institutions as they only take a bite out of my returns and I do not see the need to pay to simply “maintain” my account. Additionally, if you do any type of active trading in your retirement portfolio, then watch your commissions as they too will add up over time. Now just imagine if you’re paying more than you should for your trading and you’re subjecting yourself to account fees; those fees and costs add up to a sizable detraction from your investments. What if you are not a self-directed investor and turn the reins of managing your investments over to a financial advisor? That is ok and has its place; the problem comes into play when that financial advisor is compensated to direct you into one investment vehicle over another. This opens you up to not only being put into mutual funds or annuities that will possibly have higher fees, but it also means that they may be receiving a kickback for putting you into a specific investment. The thrust of the Yahoo Finance article was fees and how they relate to mutual funds. It stated that the average annual fee for an actively managed mutual fund is 1.3%. Now, that may not seem like much, but just imagine if you put $10,000 into your favorite actively managed mutual fund tomorrow. At the end of the year, you would have $130 less just due to fees. It does not matter if the fund had a good year or a bad year; those fees will come right out and result in less money going towards your retirement planning. They quoted economist Robert Hiltonsmith who stated that if left untouched for five decades, those fees would near $155,000, and that’s just if your fund has “average” fees. That is a massive chunk of money and could have a potentially serious impact on what you have to live off of for retirement. This is not to say that all mutual funds are bad – there are some good ones out there, the key is to look under the hood before you buy and understand how those fees will work. The presence of these fees with mutual funds is part of what has led to the surging popularity of ETFs, which typically have lower fees and could be a great fit for your retirement portfolio. If you’re torn between investing in a mutual fund vs. an ETF, just remember that both have their benefits and drawbacks. Invest in what fits your needs best and what most ideally suits your retirement planning. For many investors this would typically mean being invested in a number of low fee index funds that will keep your fees to a minimum and help you stay with the market as opposed to paying more to try and beat the market. One of the greatest detractors I see in relation to investors and their retirement planning is their lack of active management. I know this may seem contradictory to my points on mutual funds, but hear me out. What I am talking about is avoiding the temptation to set it and forget it in regards to your retirement planning. I have spoken to too many individuals and families who invested in XYZ mutual fund only to leave it sit there for 20 years without ever looking at it. Instead of doing this, check up on your retirement portfolio once a quarter and make sure it’s where you want it to be and that no fees are eating away at it. If you have hired a financial advisor, speak with him or her regularly and review your statements. Finally, actively monitor your 401k account. Many 401k plans are laden with potentially high-fee funds. If that is the case, then speak with your employer about the possibility of getting them replaced with some solid index funds that carry lower fees. Take an active role in your retirement planning so you don’t find yourself surprised by an eroded retirement account when you leave the workforce in several decades. One of my favorite FREE tools to watch out for investment fees is FeeX. FeeX connects with your brokerage accounts (like Fidelity) and will analyze all the funds you hold. It will tell you how much, in dollars, you’re paying in fees, AND it will show you other similar funds that cost less. For example, many people invest in the S&P500 using the ETF SPY. It’s very popular (by like 10x of the next most popular S&P fund). But it charges a much higher fee than other similar S&P500 funds – for the same 500 stocks! There is no reason to overpay when investing, and it’s essential that you know what you’re paying. That’s why you need to check out FeeX. Do you think of fees when it comes to retirement planning? What’s the most ridiculous IRA account fee you have seen or been charged?